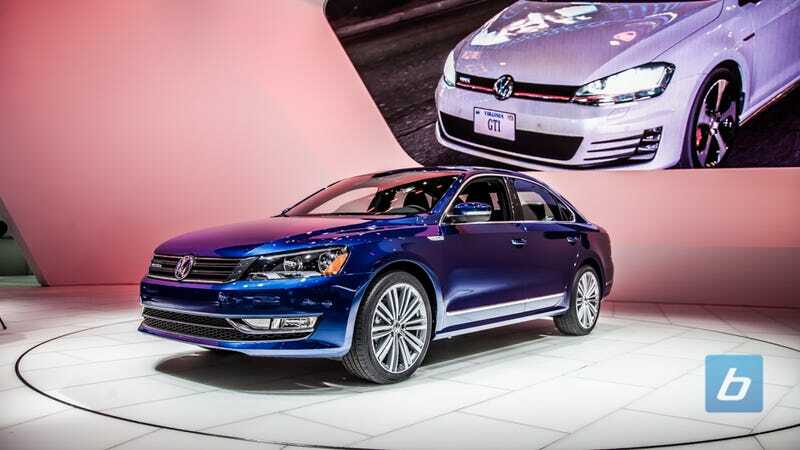 At the Vienna Motor Symposium, VW boss Hans-Jakob Neusser revealed that a 10 speed DSG is due to debut with the 2015 Passat. The transmission can reportedly handle up to 368 ft/lbs of torque and be mounted in either longitudinal or transverse engines. The new gearbox will replace the current 6-speed DSG with the increase in ratios to double digits in the name of more MPGs. Also coming soon is a new 2.0 liter twin-turbo TDI motor making upwards of 235 hp. No word on torque figures. I'm pretty excited about the TDI motor, especially if it makes its way into a 4Motion Sportwagen. However a 10 speed DSG seems like too many gears? How many times do you want to pull those paddles?